Sorry no pic came through. Try again? I would probably use styrofoam since it is much lighter and since this part doesn't need to be edible. OMG that is genius! thank you! You can also wrap you RKT's tightly in plastic wrap, squeeze it together tightly in the approximate shape you need and refrigerate it overnight. When you take it out of the fridge, cover it with a strong ganache or melted chocolate to hold it firmly. That is, if you want it to be edible. I very often use styrofoam for parts of sculptures or carved cakes. It is wonderful because it is strong and light weight. I wound up using styrofoam and it worked beautifully! Below is my finished rendition. It is NOT a replica by any means and in many places I had to take artistic liberty in ordere to "dress it up". 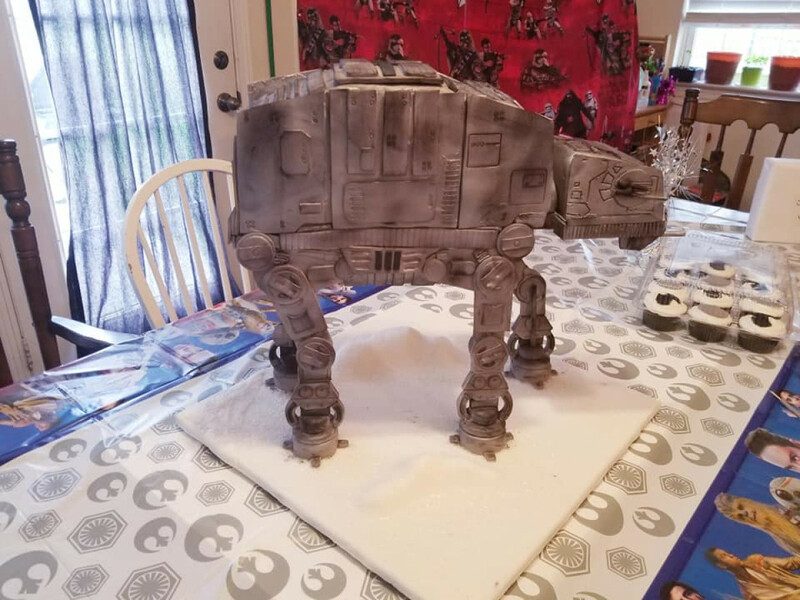 I love Star Wars and I LOVE cake so this was a win-win cake for me! 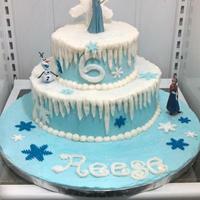 I am beyond happy with this cake and the customer was estatic! her son thought it was a toy on the table when he came home from school! Her work made mine so much easier!